When it comes to team collaboration, you can either read hundreds of management books and studies - and still have no idea what to do - or you can simply keep the nexus of activity online and get out of people's way so they can get things done. If you keep the nexus of activity online (across chat rooms, tasks, and discussion boards), it doesn't matter if your whole team works in the same office or remotely because everyone is on equal footing. Someone who works remotely doesn’t miss out on the latest events if they're not by the water cooler - all they need to do is go online and they'll be up to speed. Another benefit is increased productivity because if everything is online, there's no reason to interrupt someone to get some information. A typical developer, while in the zone, keeps a million of things in their head, from variables and loops to utility functions and API calls; when someone interrupts them every 11 minutes, they need 20 minutes to return to the zone where they can get something done. That's a major productivity killer. 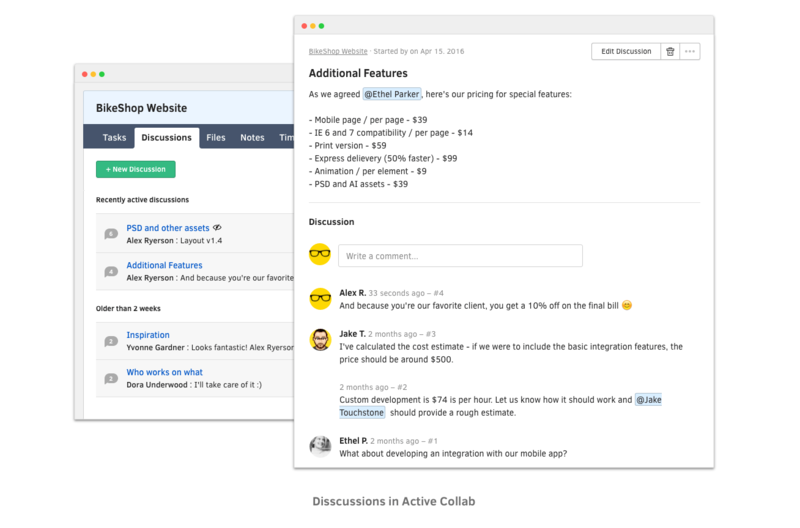 ActiveCollab is specifically designed so people can focus on work. There are no intrusive notifications that ask you to drop what you're doing and deal with them. When you’re ready, you’ll head to My Work page or your inbox and deal with the notification when it’s best for you. When you have a non-urgent question, don't head to the person's office but ping them on chat or leave a comment on a task. For general questions and talk, send a message to the appropriate chat room or start a discussion so anyone can chime in when they have the time. If someone is working and doesn’t want to be distracted, they'll have the chat and ActiveCollab windows closed. Most of the collaboration is straightforward. For example, a designer quickly mocks up several ideas, almost all of them awful. After a few days, the team picks 3 strongest ones. The designer takes feedback and chooses the best approach. Then they refine the idea, consult with the client, and have the final design ready for coding. Early work is always awful and that is perfectly ok; you need to start from somewhere. Once you have something, people will have ideas for improving it. The initial work needs to be good enough to convey the basic idea so you can have a conversation about it. From then on, it's about polishing and communication. Spend time prototyping just enough to figure out what it is you're building. Comps are always an unfinished mess and don't look anything like the final product; so treat them as a throwaway work, an intermediate step to the final goal. Don't include them as part of final deliverables; the last thing you want is to spend time on updating pictures when the client paid you for a website. During a project, people work alone on their task and then ask for feedback using task comments. For general things, project discussions are better. Discussions are great for status updates, agreeing on sitemap, what to work on next, color palette, or even sharing preliminary mockups. For example, you might want your client to see that you're working on a task but you don’t want them to see the result until it’s finished. In that case, create a discussion and hide it from them. This can even serve as the place where you'll share all your PSDs and high-res files you don't want your client to access before they pay. During discussions, there will be disagreements. The key to overcoming them is to ask each side to explain their reasoning and then keep asking “why” until they run out of arguments. Most discussions will unravel once a person is asked to explain their line of thought. If it turns out both sides have good arguments, the person who can back up their argument with data usually win. The best argument you can have in a report or discussion is a user testing video. Watching actual users struggling with the system is more convincing than reading about it. How is it possible he doesn’t see the button? It’s right there! Some people are better at arguing using email than talking in person or via instant messengers. They can prepare intricate arguments to justify their positions because they have time to form their thoughts. Others are better at real-time communication like instant messaging and meetings because they can react faster. By using comments on tasks and discussions, you give everyone time to make their case so the best idea can win. Don't let someone win just because they can outtalk their competition - it's about the quality of the idea, not the presenter's charisma. 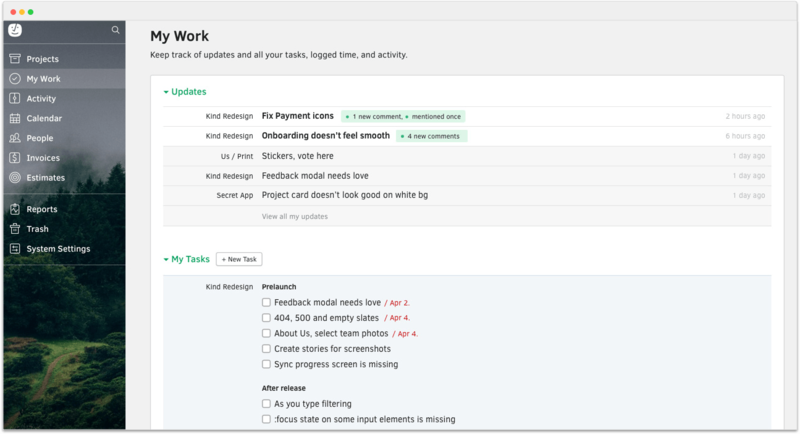 Everyone on the team should be able to add tasks, start discussions, and see everything. ActiveCollab is about getting thinks done together and restricting who can do what on a project is against that. You should trust your team and not be afraid to let them see everything related to that project. If you can't trust your people, you have much deeper problems than thinking how to restrict access. If you're bringing in contractors on your team, make sure they have access to all the information and insight they need. Don't pigeonhole them and restrict their access. You can't distribute information on a “need-to-know” basis because you can't know what a contractor needs to know. If they're a designer, for example, they need to have access to research and brief. Make them feel like they're part of the team, even if it's temporary. It's good for the morale, productivity, and work quaility. You can keep all project-related information (such as project estimates, PDF reports, service agreements, contracts, research, credentials, etc) in ActiveCollab notes and discussions, or even tasks because they all can hold files and be hidden from clients. 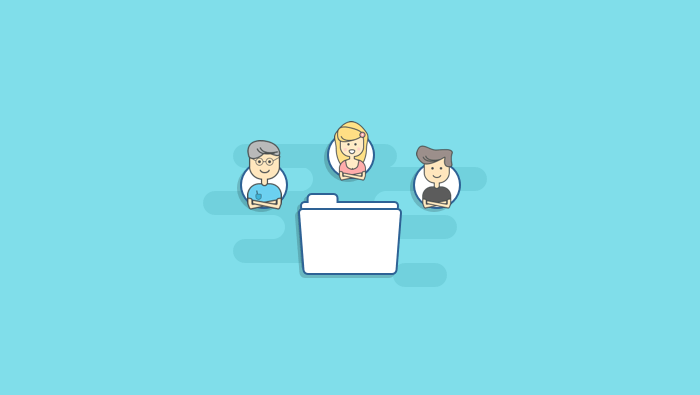 Keep all your assets at one place and share them with your team. Keep working files in Google Drive or Dropbox so others can access the latest version whenever they need without asking you to send it. In the meanwhile, when a file is ready for feedback, attach it to the task so people can comment. You can keep finished assets in Discussions too. As you work, move tasks from list to list or change labels to indicate progress. You can even prepend status as the first part of a task's name (eg. Round1 TaskA, Round2 TaskA). When you need input from someone, use @mention so they get a notification. All the notifications will appear on their My Work page. Plus they'll get an email to which they can directly reply from their inbox. Each member has their own personal dashboard, My Work. It contains all their updates, assigned tasks, time logs, and activities. It's one-stop place from which they can track everything they’re working on.